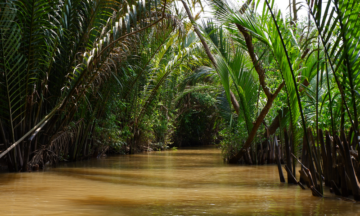 Mekongdelta.travel guide and driver will pick you up at your hotel in Hoi An and begin your Day trip Hoi An My Son visiting the cultural highlight of Central Vietnam, the temple complex at My Son. 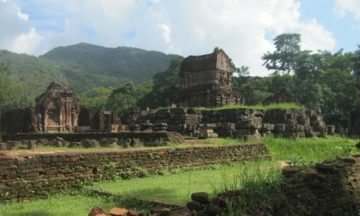 Granted UNESCO World Heritage status in 1999 the tower-temples were the seat of the Champa Kingdom for the majority of its existence between the 4th and 13th centuries. 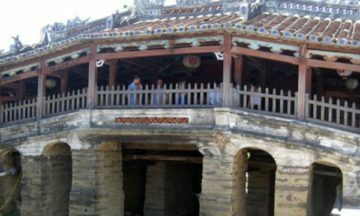 The sanctuary is situated in an impressive location surrounded by hills, around 35 km inland from the coast at Hoi An. Whilst not as spectacular as the great Angkor complexes in Cambodia, the remaining structures are atmospheric enough to conjure images of the majesty of the Champa Kingdom. In the late morning return to Hoi An Town. For lunch sample some of Hoi An’s typical cuisine in one of the town’s finest local restaurants. Following your meal discover Hoi An sights: despite the passing of 200 years and the ravages of weather and war, the centre of Hoi An remains much the same as it was in its heyday. This walking tour is the best way to see the wooden-fronted houses that once belonged to the town’s prosperous merchants, the Japanese-covered Bridge and the wonderful market as well as the many silk, handicrafts, antique shops and galleries.